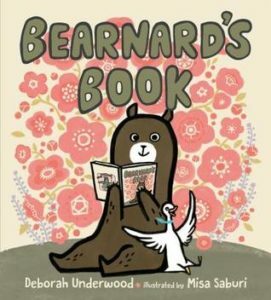 Bearnard has been invited by the queen to be in his own book! He is so excited until he realizes he may be asked to be something he is not comfortable with. His friend, Gertie, helps him see how brave he is by being willing to try things he is afraid of. When he goes to the queen to find out what kind of book she wants him to be in, he finds the support and courage to be himself. He realizes that he doesn’t have to be anyone else. He is good enough just the way he is! Great message!